Sorry! We don’t have a picture of the Diane’s screen room yet, but it is available for booking! The Diane is our roomiest camper, for those who want extra space or have a larger group. There is a large bump-out seating area with a table to dine at, as well as two other seats, making the Diane the perfect place to hang out. There are two curtained-off sleeping compartments, both with queen beds that come fully linened with sheets, blankets and 2 pillows. The bump-out seating area can optionally convert into another queen bed. 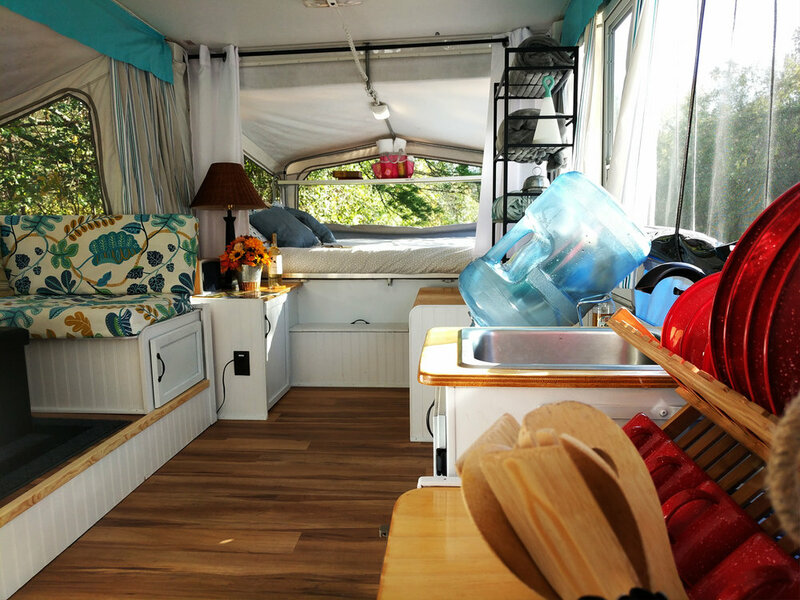 There is also a sink inside the camper for washing hands and dishes, and a furnace and fridge that operate on either propane or electricity. Outside there is a 2-burner propane stove attached to the side of the camper for preparing meals, as well as a shower - with hot water! - behind the camper for rinsing off. When choosing a site be mindful that the overall length of the Diane is 23’. It is equipped with water tanks, an LP tank & a 12v battery for limited electricity but also has water and electric hook up capability. 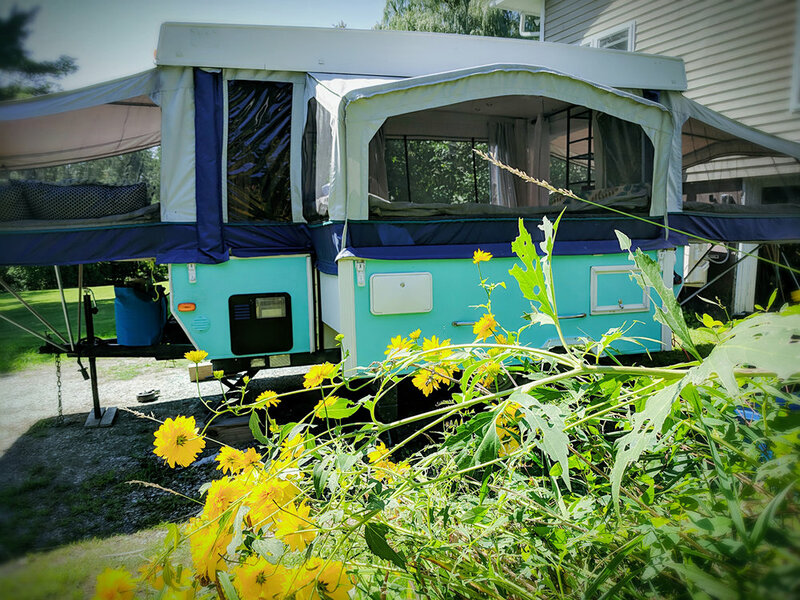 We want you to enjoy your stay in our unique and boutique up-cycled pop-up campers. As such, we recommend no more than 6 adults for the Diane.